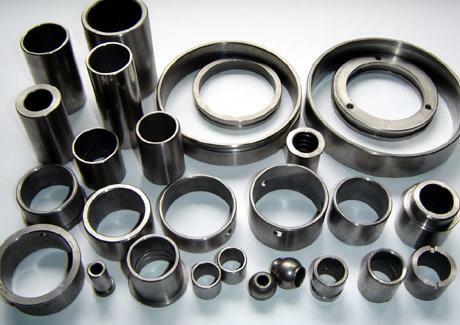 Powder metallurgy is a forming and fabrication technique consisting of three major processing stages. First, the primary material is physically powdered, divided into many small individual particles. 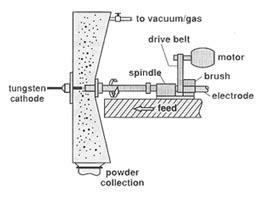 Next, the powder is injected into a mold or passed through a die to produce a weakly cohesive structure (via cold welding) very near the dimensions of the object ultimately to be manufactured. Pressures of 10-50 tons per square inch are commonly used. Also, to attain the same compression ratio across more complex pieces, it is often necessary to use lower punches as well as an upper punch. 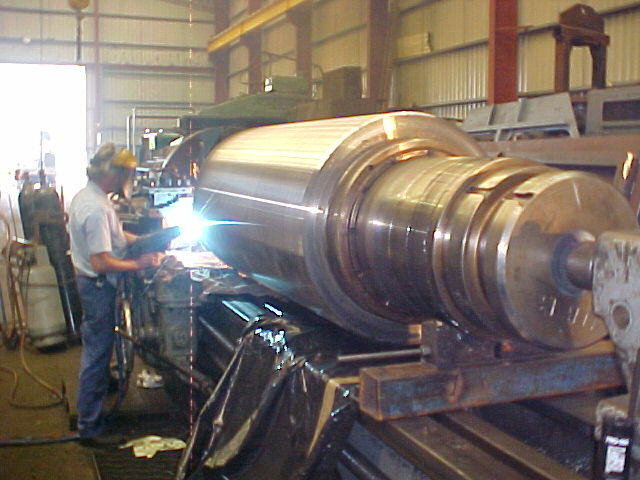 Finally, the end part is formed by applying pressure, high temperature, long setting times (during which self-welding occurs), or any combination thereof. 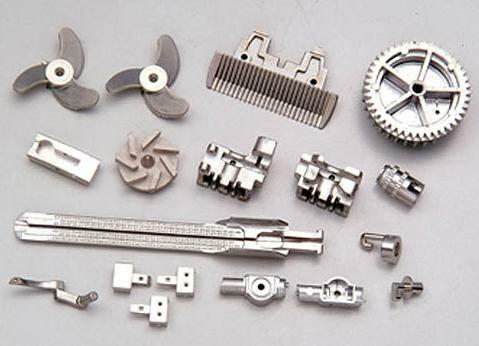 The history of powder metallurgy and the art of metals and ceramics sintering are intimately related. Sintering involves the production of a hard solid metal or ceramic piece from a starting powder. There is evidence that iron (Fe) powders were fused into hard objects as early as 1200 B.C. In these early manufacturing operations, iron was extracted by hand from metal sponge following reduction and was then reintroduced as a powder for final melting or sintering. 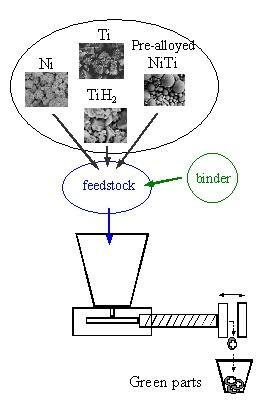 A much wider range of products can be obtained from powder processes than from direct alloying of fused materials. In melting operations the “phase rule” applies to all pure and combined elements and strictly dictates the distribution of liquid and solid phases which can exist for specific compositions. 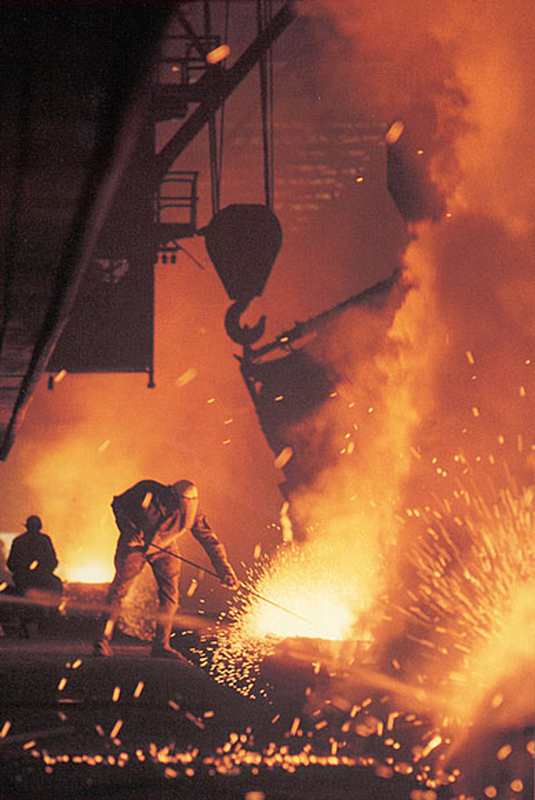 In addition, whole body melting of starting materials is required for alloying, thus imposing unwelcome chemical, thermal, and containment constraints on manufacturing. Unfortunately, the handling of aluminium/iron powders poses major problems. Other substances that are especially reactive with atmospheric oxygen, such as tin, are sinterable in special atmospheres or with temporary coatings. 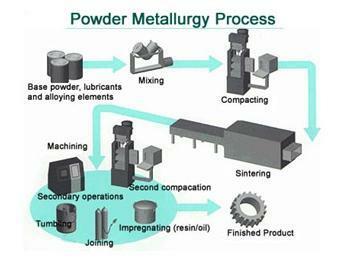 Components or articles are produced by forming a mass of powder into a shape, then consolidating to form inter-particle metallurgical bonds. 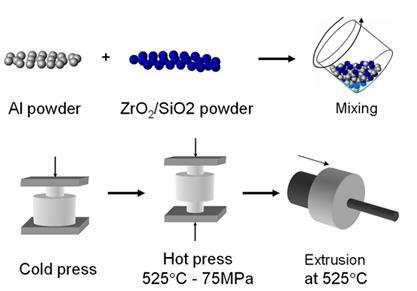 An elevated temperature diffusion process referred to as sintering, sometimes assisted by external pressure, accomplishes this. 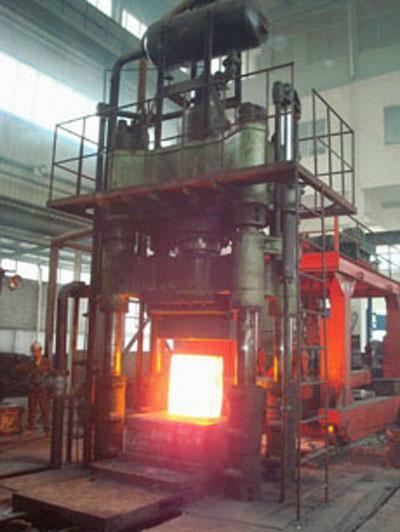 The material is never fully molten, although there might be a small volume fraction of liquid present during the sintering process. Sintering can be regarded as welding the particles present in the initial useful shape. Isostatic powder compacting is a mass-conserving shaping process. Fine metal particles are placed into a flexible mold and then high gas or fluid pressure is applied to the mold. The resulting article is then sintered in a furnace. This increases the strength of the part by bonding the metal particles. This manufacturing process produces very little scrap metal and can be used to make many different shapes. 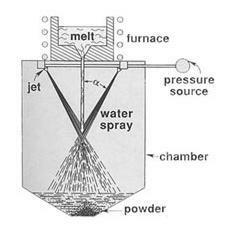 Water Atomization Process: Source “Powder Metallurgy Science” Second Edition, R.M. German, MPIF. Metal powders are contained in an enclosure e.g. a rubber membrane or a metallic can that is subjected to isostatic, that is uniform in all directions, external pressure. 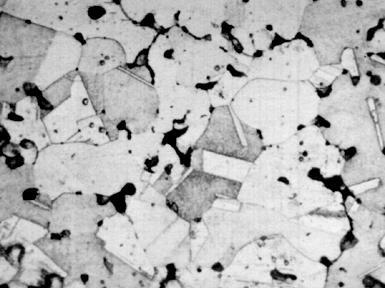 As the pressure is isostatic the as-pressed component is of uniform density. 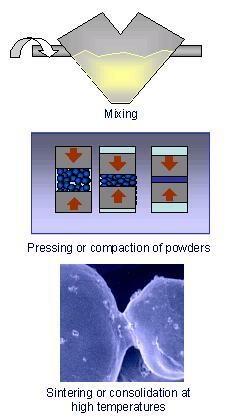 Irregularly shaped powder particles must be used to provide adequate green strength in the as-pressed component. This will then be sintered in a suitable atmosphere to yield the required product. 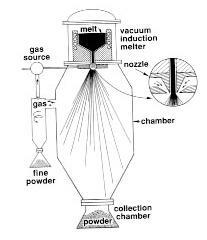 Vertical Gas Atomizer: Source “Powder Metallurgy Science” Second Edition, R.M. German, MPIF. Powders are usually encapsulated in a metallic container but sometimes in glass. The container is evacuated, the powder out-gassed to avoid contamination of the materials by any residual gas during the consolidation stage and sealed-off. It is then heated and subjected to isostatic pressure sufficient to plastically deform both the container and the powder. Centrifugal Atomization by the Rotating Electrode Process: Source “Powder Metallurgy Science” Second Edition, R.M. German, MPIF. Hot isostatic pressing (HIP) compresses and sinters the part simultaneously by applying heat ranging from 900°F (480°C) to 2250°F (1230°C). Argon gas is the most common gas used in HIP because it is an inert gas, thus prevents chemical reactions during the operation. Metal Powder Injection Modeling (M. I. M.) Product. The rate of densification of the powder depends upon the yield strength of the powder at the temperatures and pressures chosen. At moderate temperature the yield strength of the powder can still be high and require high pressure to produce densification in an economic time. 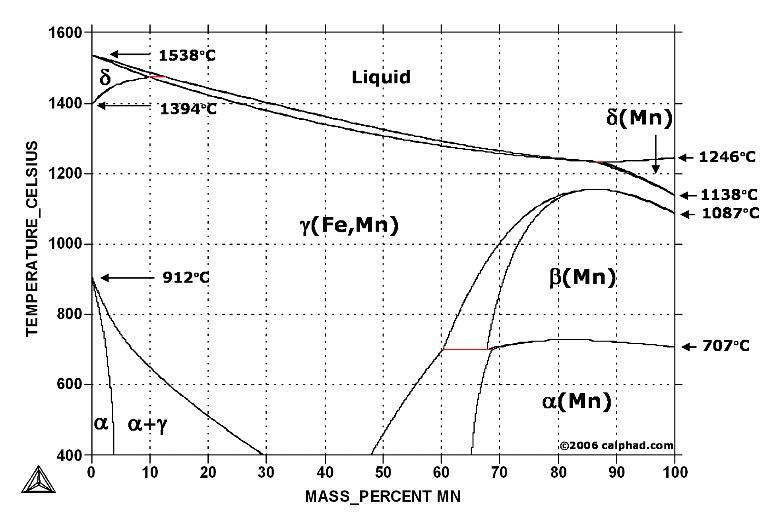 Typical values might be 1120°C and 100 MPa for ferrous alloys. By pressing at very much higher temperatures lower pressures are required as the yield strength of the material is lower. Using a glass enclosure atmospheric pressure (15 psi) is used to consolidate bars and larger billets. Cold pressed and sintered components have the great advantage of being close to final shape (near-nett shape), but are not fully dense. 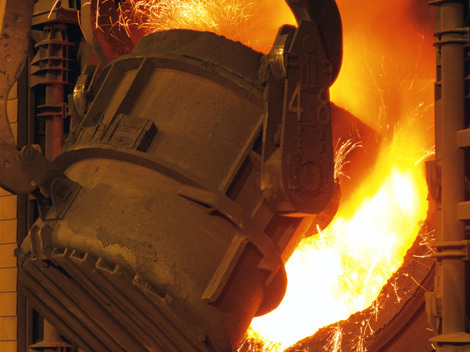 Where densification is essential to provide adequate mechanical properties, the technique of hot forging, or powder forging, can be used. 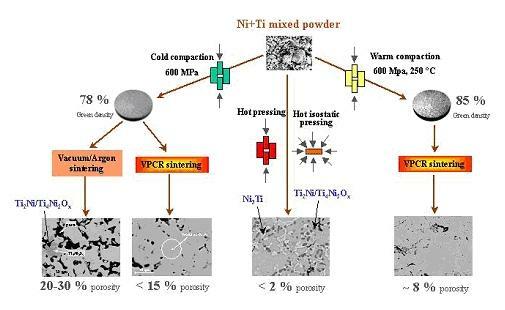 Sintering is the process whereby powder compacts are heated so that adjacent particles fuse together, thus resulting in a solid article with improved mechanical strength compared to the powder compact. This “fusing” of particles results in an increase in the density of the part and hence the process is sometimes called densification. 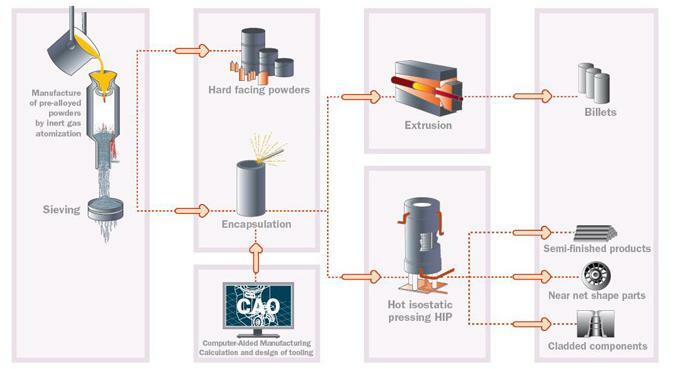 There are some processes such as hot isostatic pressing which combine the compaction and sintering processes into a single step. 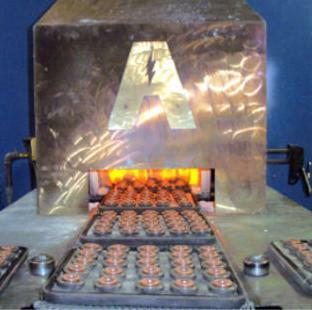 In powder forging an as-pressed component is usually heated to a forging temperature significantly below the usual sintering temperature of the material and then forged in a closed die. This produces a fully dense component with the shape of the forging die and appropriate mechanical properties. 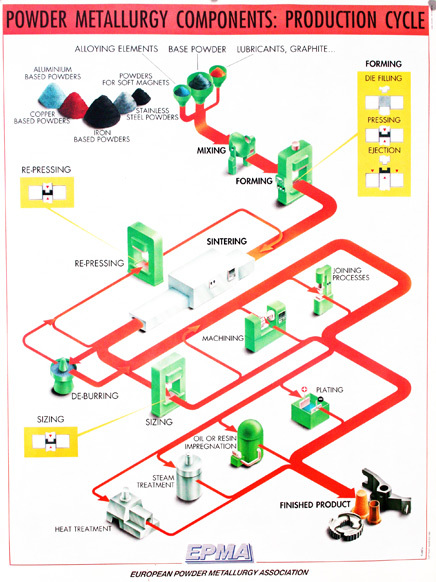 Injection moulding is very widely used to produce precisely shaped plastic components in complex dies. As injection pressures are low it is possible to manufacture complex components, even some with internal screw threads, by the use of side cores and split tools. 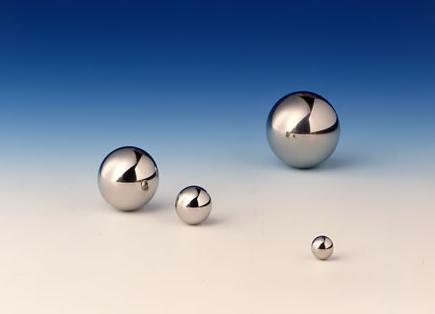 By mixing fine, typically less than 20 mm diameter, spherical metal powders with thermoplastic binders, metal filled plastic components can be produced with many of the features available in injection moulded plastics. After injection moulding, the plastic binder material is removed to leave a metal skeleton which is then sintered at high temperature.